BTS has unsurprisingly set a new record. The boys' "Boy With Luv" hit 10 million views at 8:52 PM KST on the 12th, just 2 hours and 52 minutes after its release at 6PM KST. It's the shortest time ever for any K-pop artist. 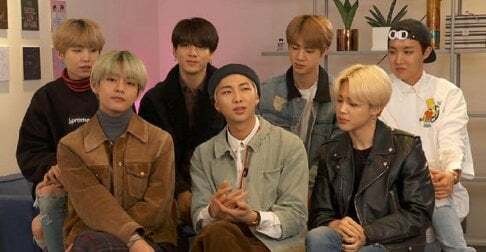 The achievement comes after BTS' 'Map of the Soul: Persona' becoming the fastest-selling album in Hanteo chart history, already recording over 1,479,000 copies sold. This time around there are even more people buying and streaming. BTS has become more well known to people even outside of kpop fans. That has increased their fan base by a lot. I've been hearing promos for their new album on the radio and a lot of my friends in other states and countries are even hearing the songs already playing on their stations. Even now Mic Drop and Idol get played once in awhile on the radio and a local skating rink has the songs on their regular rotation because so many of the teenagers have requested it. I heard idol playing in the local frozen yogurt shop a few weeks ago and the workers giggled at me when I told my kids to pay attention because BTS was playing.